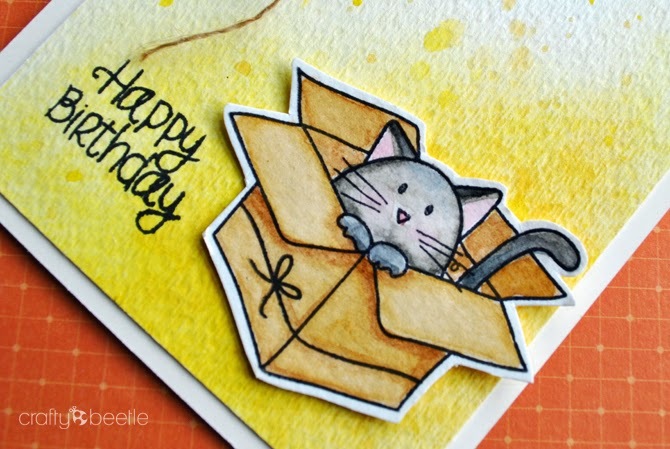 Just love this cute stamp Furry Cat and Box from Simon Says Stamp. I started by stamping with some black archival ink and coloured it with some watercolours and then cut it out leaving a white border. I took a piece of watercolour paper and then did some water colouring with distress inks and splattered a few drops with my wet brush. 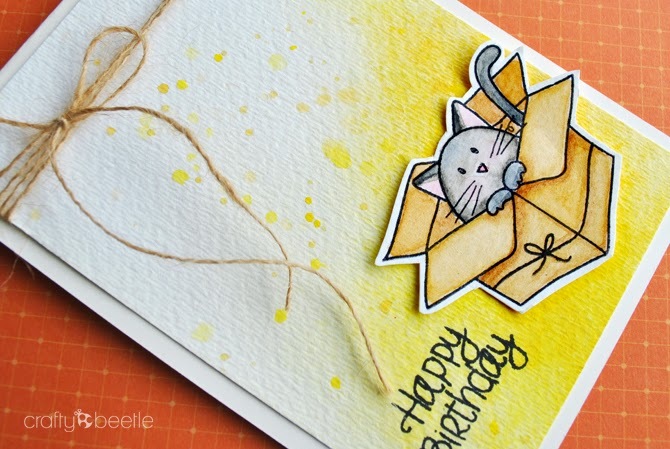 I then finished the card off with a sentiment from the same stamp set and some natural twine. Love this card. 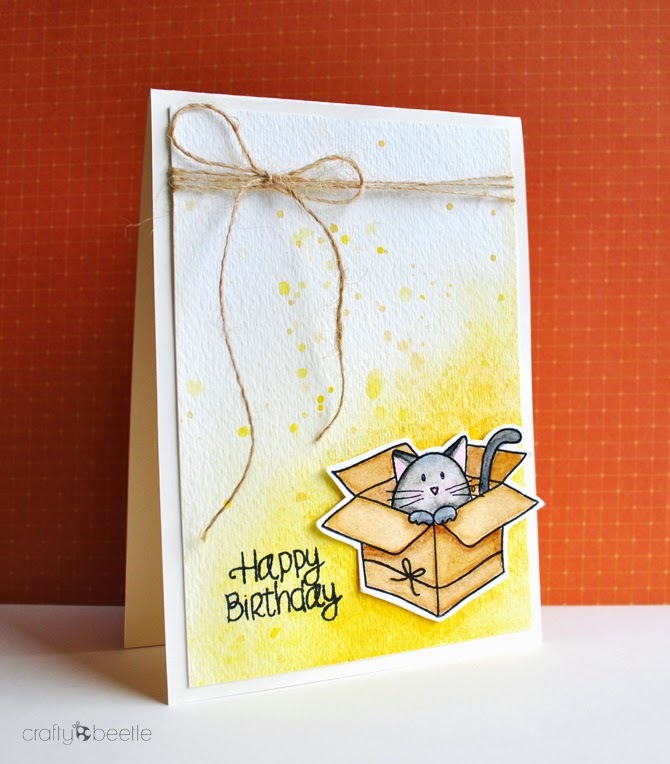 Your choice of yellow watercoloring is lovely. The cat is adorable, too! This is absolutely adorable - congrats on your win! Thank you Daria! Much appreciated!